One way to understand the dynamics at work is to look at a type of chart called a spectrogram — a way to visualize how the strength of different sound frequencies varies over time. 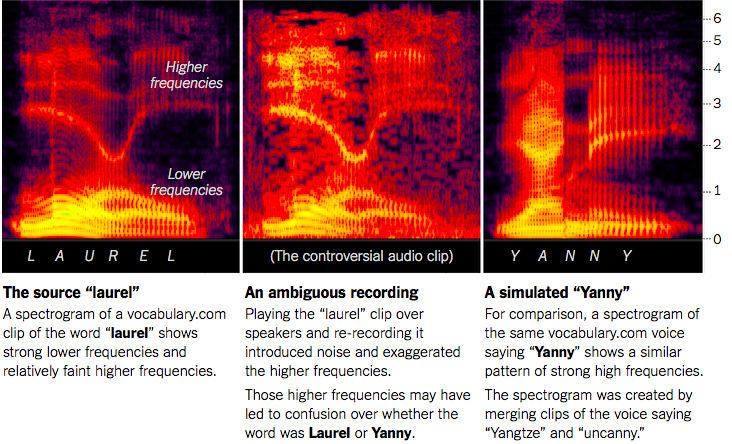 The spectrograms above show that the word “laurel” is strongest in lower frequencies, while a simulated version of the word “yanny” is stronger in higher frequencies. 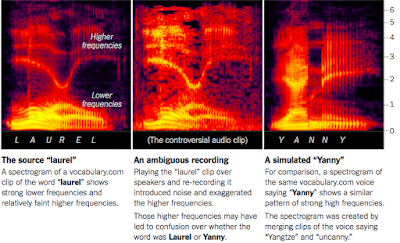 The audio clip shows a mixture of both.